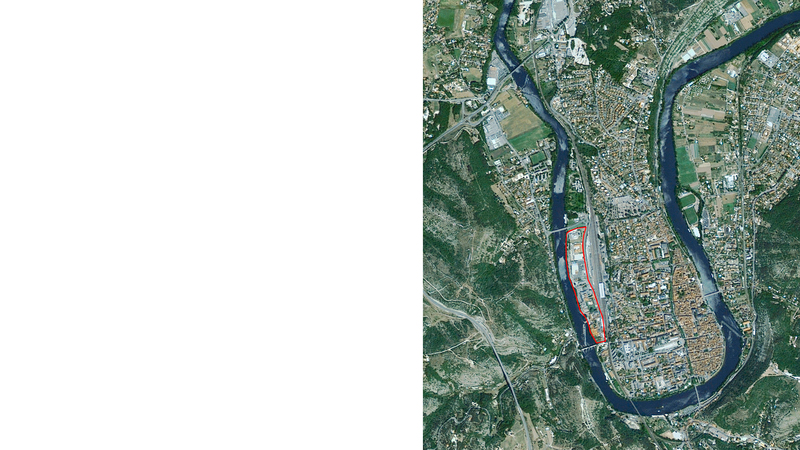 Keith Williams’ masterplan for Cahors, a historic town in south-west France, set out an urban regeneration strategy for a 2 km long strip of former industrial land alongside the River Lot. 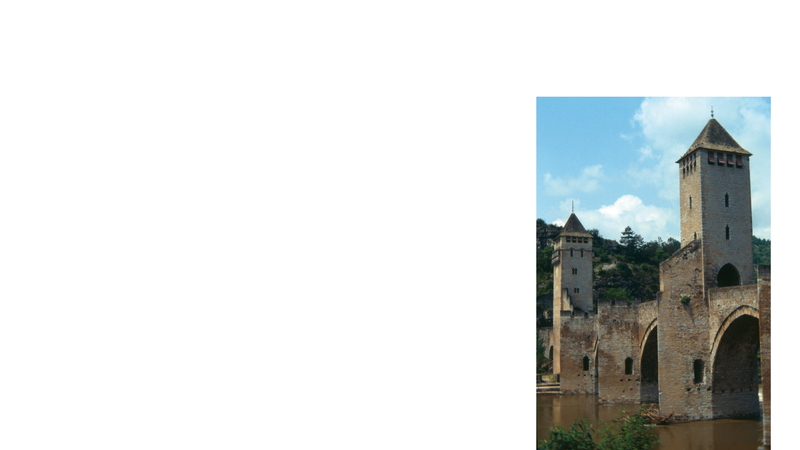 Cahors is noted for the virtually black wine that the region produces, and for its medieval bridge, the three towered Pont Valentré spanning the Lot. 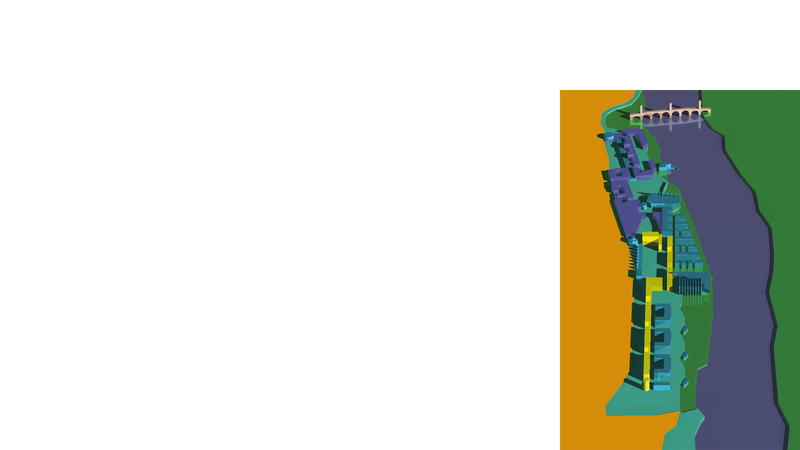 It is the symbol of the town and a key part of its UNESCO World Heritage site. The town historically had developed in several keys stages, notably the Medieval period, the 16th to 18th centuries, and the 19th century. 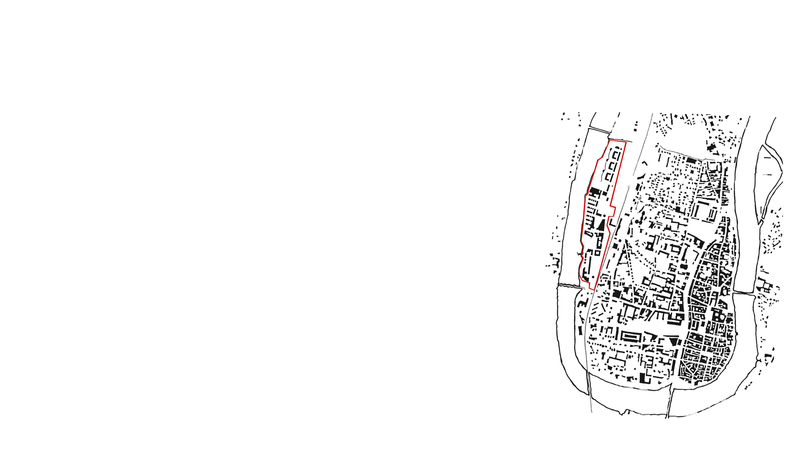 Each had established a different townscape and urban morphology with the Medieval period being the most dense with the tightest street pattern. Crucially the Plaine du Pal sector, immediately downstream of the Pont Valentré, had been disconnected from the town’s main core by the advent of the railway in the 19th century, and its land developed for heavy industry which, post war, had fallen into steep decline. 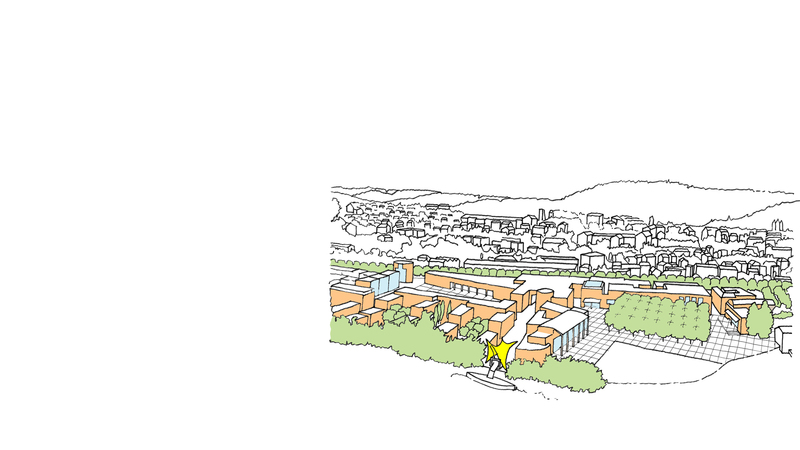 Williams’ response was to create a new morphology based upon a study of the precedent building forms, heights and spaces extant within the town, and to redeploy these within his new Plaine du Pal masterplan, sweeping away the redundant industrial development, and creating a new coherent urban sector of streets, courts, squares and boulevards in its place.